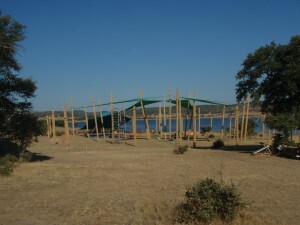 One of our members, bioarchitect Marcos Pitombo, were in 2010 edition of Boom Festival that happens in Portugal every other year (check www.boomfestival.org) helping the IPEC – Permaculture Institute of Cerrado – construction team, building composting toillets and a Gray Water Treatment Station, called ETAR (Estação de Tratamento de Águas Residuais). Hard job, very hot weather but an amazing experience about sustainble constructions and how we can make a city for 30 tousand people in a short period of time. How we can make good friends, learn and pass many information and conecct lots, lots of good energies. That is sutainbility in music! 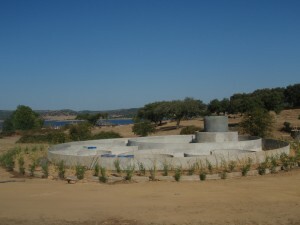 Composting toillets with shower boxes in the bottom, built by IPEC team.